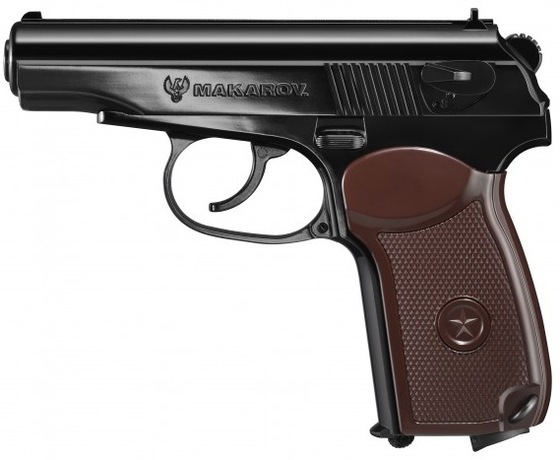 The semi-automatic Makarov, named after its designer, was introduced into the armed forces of the former Soviet Union in 1951. Later on a number of countries in the Warsaw Pact adopted this model as an ordinance pistol for police and military use. Just like the original, the Umarex Makarov CO2 version has both a Double & Single Action trigger, making it very accurate yet fun to shoot rapid fire. It has all the operating elements along with a movable slide. All the important parts of this sturdily built CO2 pistol are made entirely of metal: frame, slide and exterior operating components.